"Over the past 40+ years I have been involved in industrial real estate brokerage/development, so I know the makings of a good agent when I encounter one. Allyson is one of the most professional talented brokers I have had the pleasure to work with, both on the sale of my home and the acquisition of a new house. She always kept me informed on each deal, gave me excellent advice on how to stage my house and worked well with the cooperating brokers on the other side of the deal. I would highly recommend her services if you are contemplating a real estate transaction in the near future." 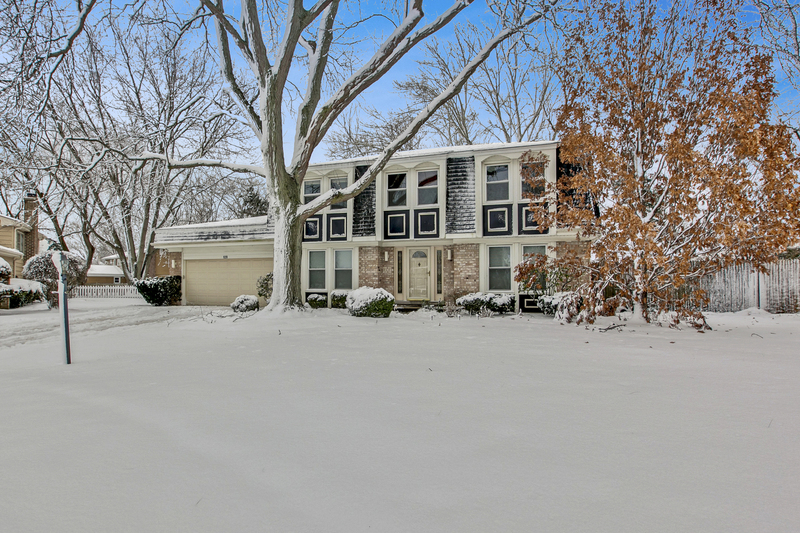 Your Family's Own Wonderland Tucked on a Sleepy Cul-De-Sac with Great Space, Layout & Looks! All Year Round -- Winter, Spring, Summer and Fall -- This Warm and Welcoming, Family Friendly Two-Story Will Make the Good Times Roll and Lasting Memories Endure! Combine a child-friendly cul-de-sac setting with a canopy of mature trees in this spacious 4-5 bedroom Chesterfield-built two-story where creating family storybook memories is a breeze! From the gracious center-entry foyer flanked by formal living and dining rooms to the welcoming family room and updated kitchen, both overlooking the huge backyard and patio, this classic design affords great function and easy fun times with family and friends. Elegant like-new oak floors greet you as you enter the large foyer and expand throughout much of the first floor. The big family room with its welcoming fireplace and sliders opening out to the expansive patio and yard provides a comfortable gathering area with access to the adjacent kitchen featuring granite counters, stainless appliances & a sunny eating area. A powder room, laundry room leading to the two-car attached garage and a multi-functional main floor office or fifth bedroom completes the first floor. The second floor includes a huge master bedroom suite with a deep walk-in closet and compartmented master bath with long vanity, twin sinks and a separate shower/commode room. Three additional family bedrooms, including two queen-sized corner rooms, all feature their own walk-in closets. Additional highlights include a full finished basement with huge recreation areas – ideal for children, teens and adults alike. For warm weather enjoyment, the expansive fenced backyard with a larger/newer concrete patio will be a big hit and creates the perfect setting for outdoor activities. Centrally-located, this delightful home boasts ultra-convenient nearby access to town, shops, restaurants, Metra trains and highway.